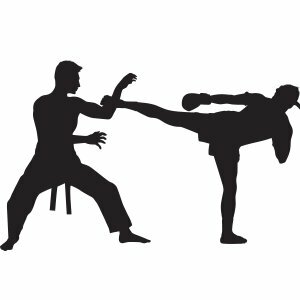 | Are Martial Arts Practitioners in California Considered Deadly Weapons? Are Martial Arts Practitioners in California Considered Deadly Weapons? In defense of another person who is unable to help themselves and desperately needs it. Should you ever find yourself in a difficult situation with a person who wants to harm you or a person by you, who is disabled, injured, or otherwise, unable to help themselves, it is best to try and diffuse the situation, if you can. You do not need to inform the instigator that you practice martial arts, mainly because the instigator may want to try you. If the instigator directly assaults you, then you have a right to protect yourself. Once the instigator goes down, you must cease from any further action. Many states have a “Stand Your Ground” Doctrine, but California does not. Therefore, if you put the person down on the ground after you have taken initial action, you should step back and make sure the police have been called. Hopefully, a bystander has already called for you. This is essential if another person was injured and you were protecting him or her from further injury. If the instigator gets up, avoid making any moves unless he or she moves against you again. If they want to yell at you and call you names, let them. If they throw things at you, let them do it but avoid getting hit with the objects. If they directly physically assault you again, you have the right to take them down to the ground again. However, you should only use enough action that puts the person to the ground without further injury. Never use further aggressive actions while the person is down, or incapacitated, and unable to fight back. Your goal is to commit as little harm or damage to the instigator as possible, as you are trying to stop the assault, not give the instigator a concussion, broken nose or injure anything else that is part of his or her body, that could be permanently damaging. Depending on the situation, you could be charged with simple assault for trying to protect yourself or another person. California’s Penal Code 240 covers assault and battery. You could also be charged with assault with a dangerous weapon, which would be your hands and feet, due to your knowledge and skill in the martial arts. California’s Penal Code 245 covers assault with a deadly weapon under the Assault and Battery section. The penalty for assault with a deadly weapon would be time spent in state prison for two, three, or four years and, potentially, a fine up to $10,000. A charge of simple assault, is a misdemeanor, and includes up to six months in a county jail and, potentially, a fine of $1,000. However, a prosecutor must prove that you had intent to commit extensive harm, in order to get the conviction.